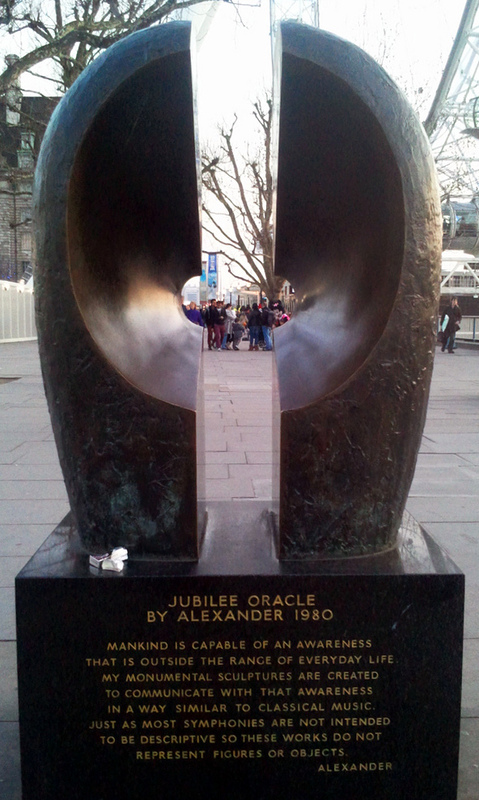 One of a number of pieces of art on the South Bank, Alexander's Jubilee Oracle dates from 1980 and is a bronze sculpture found on the walkway between the Royal Festival Hall and the London Eye. The Oracle stands on a plith, inscribed with a quote from the artist, reading 'Mankind is capable of an awareness that is outside the range of everyday life. My monumental sculptures are created to communicate with that awareness in a way similar to classical music. Just as most symphonies are not intended to be descriptive, so these works do not represent figures or objects'.